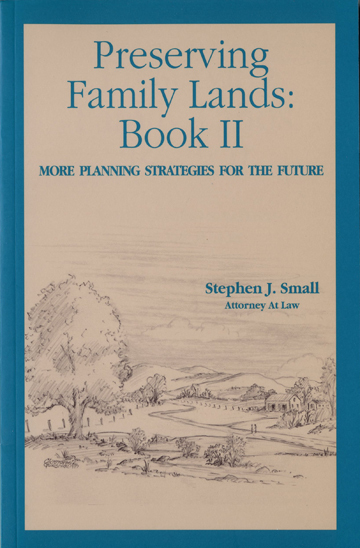 Preserving Family Lands: Book III covers some of the same material as Book I but has more in-depth tax and planning analysis. 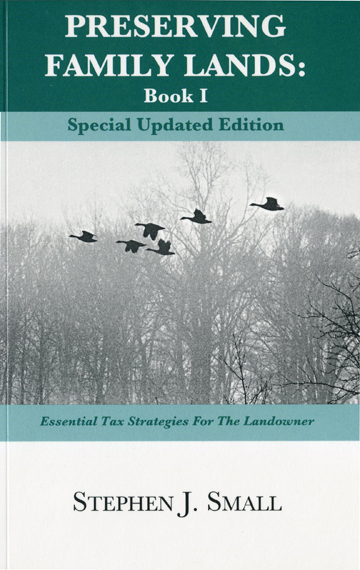 Book III has a lot of material about additional estate tax incentives for easement donors under tax code Section 2031(c). 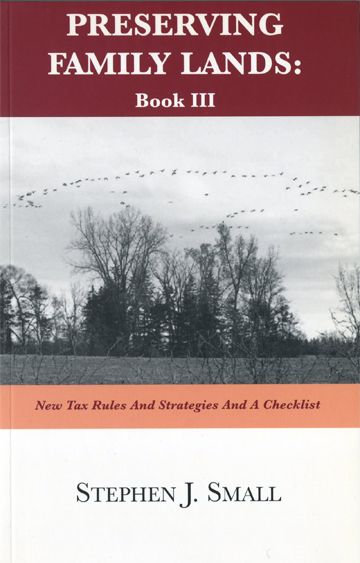 Book III also includes a seven-chapter checklist for a conservation easement project. I think reading the checklist is essential for anyone involved in a conservation easement. 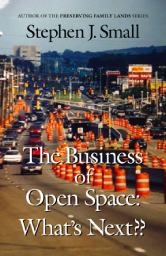 Be the first to review “Preserving Family Lands: Book III” Click here to cancel reply.